Definitely a fixer-upper, but with lots of potential. it also has a big backyard so I’ll be able to grow some veggies and herbs, and roses, and wild flowers, and maybe even some fruit trees?! 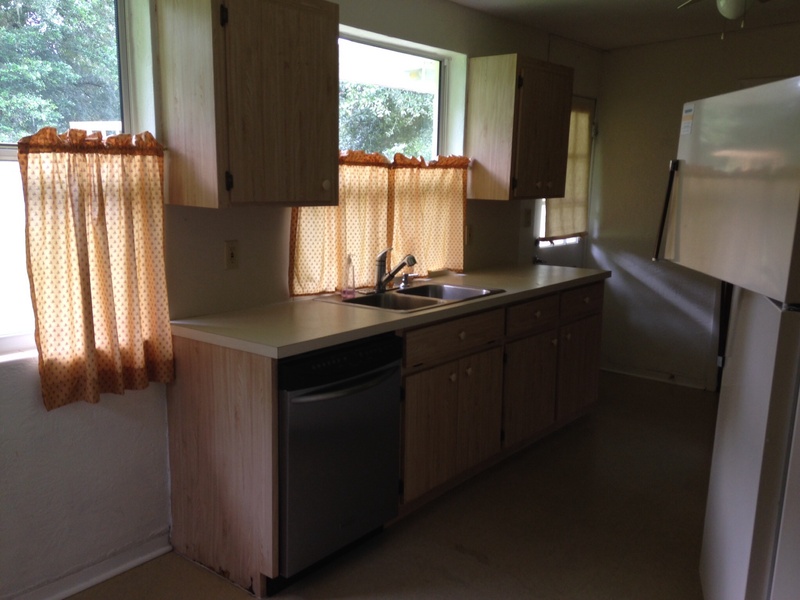 There are some challenges, like the bathroom and kitchen which have not been updated in decades. i have some ideas but would love to hear what you all think. There’s a lot of work to be done and we will probably do it a little at a time. I can’t wait to show you some AFTER photos! I see a bathroom and kitchen reno in your future. For now I would rip out that old vanity/sink in the bathroom and put something more modern in or even a pedestal sink would be lovely. That’s a lot of pink. The kitchen doesn’t look too bad, for now you could pain the cupboards, Do you have a reno budget? It looks like a great house, the yard is wonderful and I love a fixer upper. The hardwood floors are beautiful. Yes, it is a great little house that just needs some TLC. 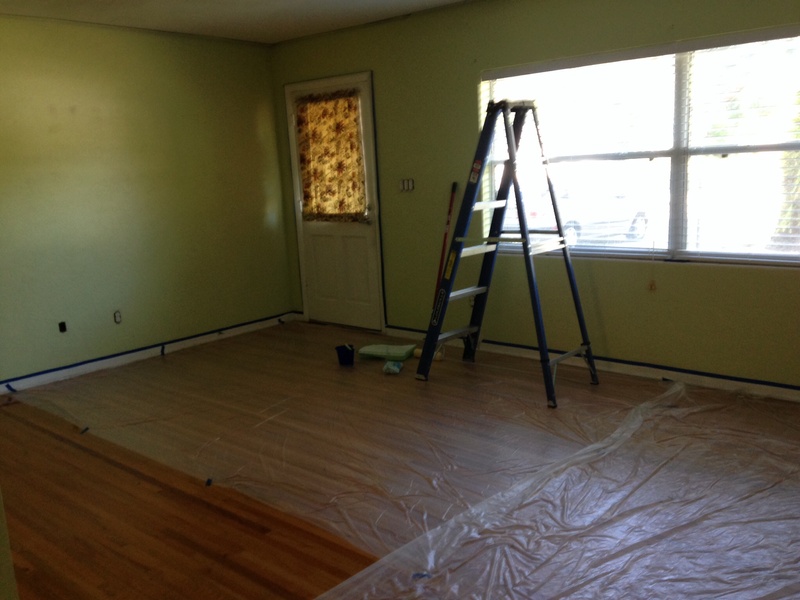 We are hoping to save some money each month to put into our reno projects, which are quite a few. I’d love to just do everything at once but unless I win some HGTV prize, I don’t see that happening. We’ll just enjoy each project as we work on it. Can’t wait to see some after pics. Have fun! Haha! I actually saw that website when I first googled about pink bathrooms. I’ve debated about whether to “embrace” the pink or “release” it for something more modern and functional… Haven’t made my mind up completely but right now I’m leaning towards vintage dresser-type sink cabinet, which is what I’ve always liked, and antique-style sink and faucet. The crew that took out the tub in our old bathroom replaced it with one that was smaller, so it also ruined the beautiful mosaic tile floor like you have. It looks like gray accents? That could be very striking. And I love dresser sinks! Daisy, I love the good-sized windows in all the rooms. 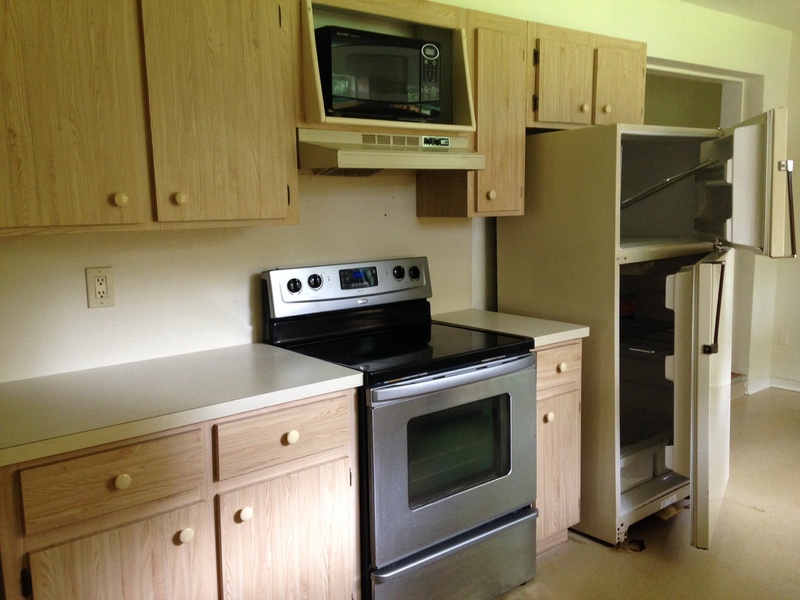 The kitchen could easily be updated by painting the cupboards and changing the knobs. Would you believe I like the old tub, sink, and tile in the bathroom? It would be fun to play it up by accenting it with another color in the towels, mat, and curtain. Thanks, Wendy. It’s been a whirlwind of activity around here, but so glad we finally moved in. Another fixer-upper lover here! I don’t have suggestions, but I am looking forward to your after photos! Haha, thanks so much for your encouragement, Laura! I will be posting some updates soon. You are brave and wonderful, looking forward to all that lies ahead with excitement! I love how you are just going to do a little at a time. I have been going through the house painting that way, and going slowly allows me to change my mind as needed about what I want to do! Teehee! God bless you and your new home! Debbie, you are always so encouraging! Doing things a little at a time allows us to be able to do some of the projects ourselves. It also helps us to pay as we go, one project at a time. I’m with Apple Hill Cottage, do so research about the age of the home and what was typical for that period. The pink bathroom is a bit much – but the hardwood floors are beautiful. Great yard. Wish you all the best. More than anything, let the house guide you as you create your home from within. Yes, I am taking it slow with the bathroom, the kitchen being the priority right now. It’s been fun doing some research on those famous pink bathrooms — more history there than I thought. I’m so glad you’re taking “before” photos–you’ll treasure them once the transformation is complete. 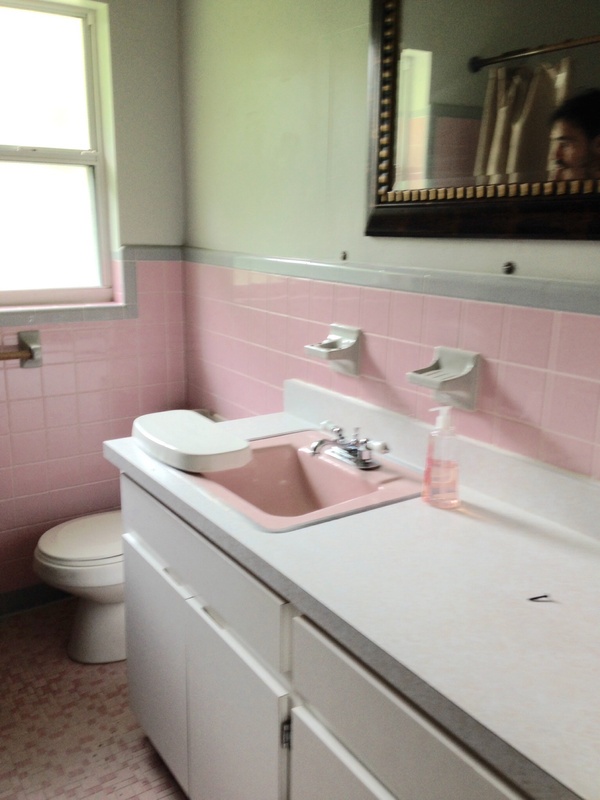 If I had that pink bathroom, and couldn’t afford a complete reno, I’d go over the top–kitschy, vintage fun. You could find great vintage linens and one of those crocheted dolls that were made to cover rolls of toilet paper! Think how awesome this could be! 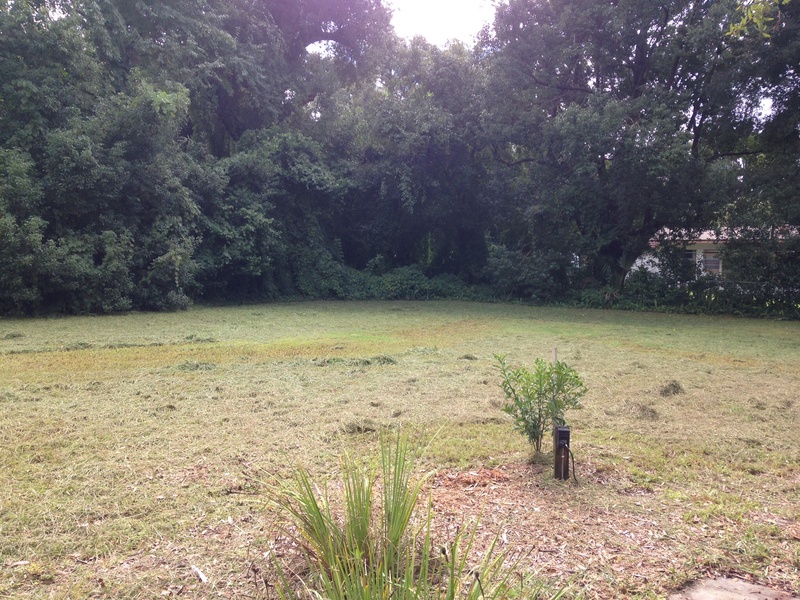 gasp-worthy “After” photo! I just hope the gasp is because the results are pleasing rather than, “what did they do? !” Thanks for your input… I look forward to getting lots more – I need it! Yeah! you’re getting moved in! It does look like it has a lot of potential– your blog may have a whole new slant—before and after renovating! 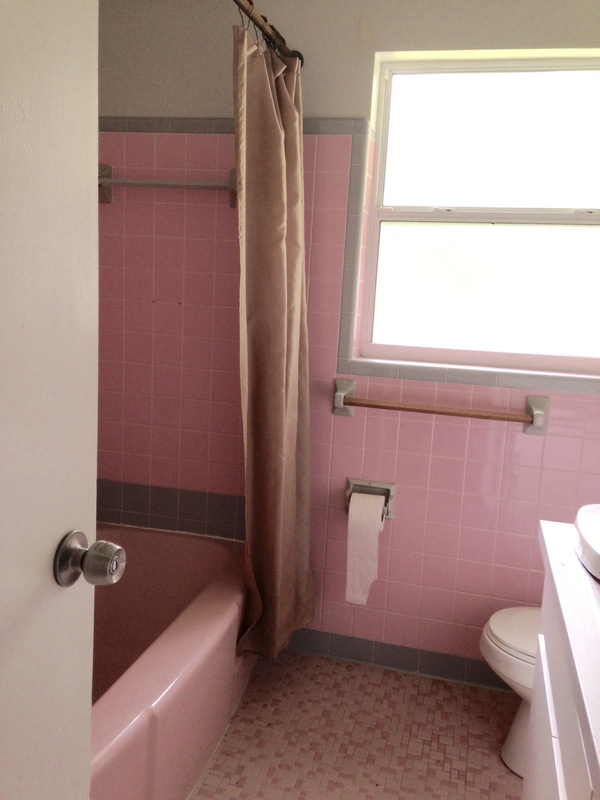 My daughter has a pink bathroom a whole lot like yours in her 1938 San Francisco house. And it’s grown on them in the last few years! (but you can paint bathroom tiles with special ceramic paint) –and love that you have windows over your kitchen sink–sunshine and a view to the world. Hope you feel at hoe quickly and have some wonderful memories there. Fun to have you back posting after all your move in work!! Oh gosh Daisy– I know what you mean! We have a couple house projects we should jump into now that we’ve been in this place 20 years– but it all sounds so daunting! So I’m excited for all you can do– painting? changing anything? organizing? Hope it all comes out beautifully!